The Cornerstone Vineyard Church sought to transform an aging fire hall into a new home for their diverse congregation. 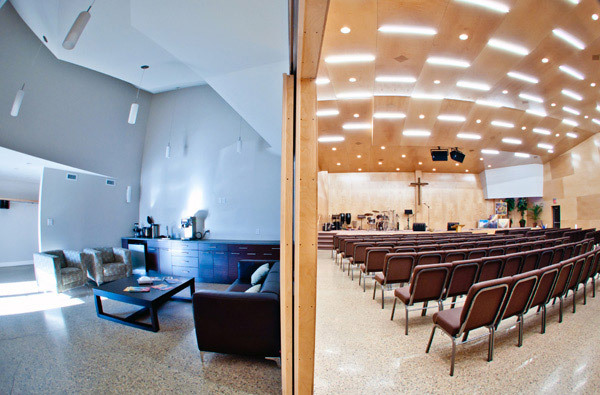 This renovation required the creation of dynamic spaces that could be used for traditional worship and other gatherings for their church body the community. 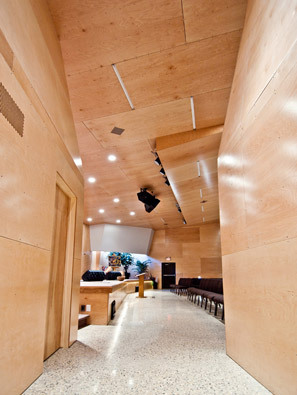 This visionary fellowship sought a space that was unique from the typical church typology. This inspiration resulted in a faceted plywood interior which defines the space by first controlling natural light through a variety of sculpted shrouds. 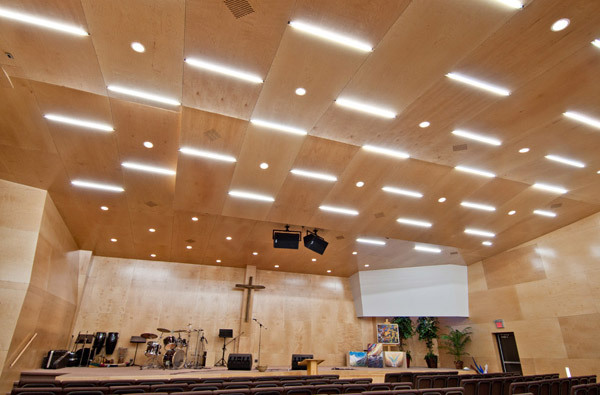 These shrouds capture and control light from the existing windows and the facets double as lively acoustic surfaces to benefit the community's varied musical performances.